Liquid lipsticks have taken the beauty world by storm over the past year with brands high street to high end taking their own spin on the trend. 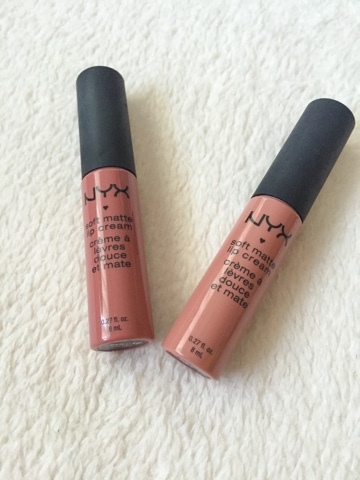 After finally jumping on the hype, I picked up two of Nyx's matte lip creams and haven't gone back. Liquid lipsticks have become my new love and I'd love to try out various other options to see how they compare. Packaging - Nyx products always have quite sleek, professional looking packaging, keeping to a monochrome style. These products aren't any different with a hand bag sized tube and doe foot applicator. The size of the applicator is perfect to get to every part of the lips and holds enough product to build up the colour. Names - The range of Nyx matte lip creams all have the names of cities around the world, a truly charismatic touch. The two I have are 'Cannes' and 'Stockholm', two cities I've never visited but renowned for their sophistic flair, something the colours certainly convey. Scent - One of the first things I noticed about the product was its scent. The smell reminds me of a subtle vanilla and cupcake blend, yet not too overpowering whatsoever. 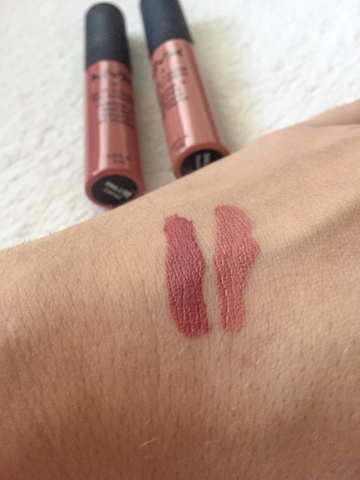 Formulation - When it comes to the formulation of these lip products, I was pleasantly surprised. Before trying, I thought it would be rather drying on the lips, yet it turned out to be the completely opposite. 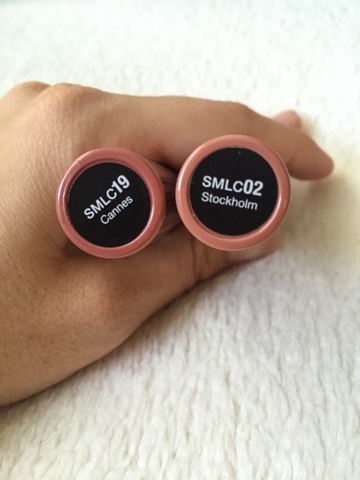 Upon application, the consistency is very creamy and soft on the lips, it doesn't feel like a matte lipstick at all. Once the liquid formulation has set, the consistency is rather light as if no product is on the lips nor dries out the lips. Pigmentation - Another favourite feature is the pigmentation of these lip products. With one swatch, the colour pay off is thick and coats the lips well, needing about two coats to get the full pigment. I'm seriously impressed by the pigmentation because even though it's a liquid formulation, it covers as well as a typical creamy, matte lipstick. Lasting power - Liquid lipsticks are known for their brilliant lasting power and Nyx's are no exception. After layering and the lipstick setting, this product doesn't budge through drinking and eating. After having dinner, it may need a reapplication in the centre of the lips from natural wear, yet ultimately the product clings well to the lips and has endless lasting power. As you can tell, these liquid lipsticks have become my new favourite go to products! Long lasting power, super pigmentation, creamy consistency and sleek packaging, what more could you wish for in a lipstick? 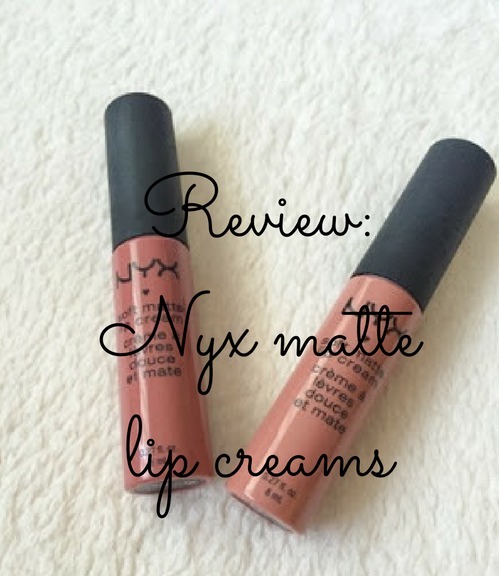 I hope you enjoyed this Nyx review! Have you tried these lip products? Oh wow these are gorgeous! And now boots sells Nyx! Madness! I can't wait to try these shades and Milan out... 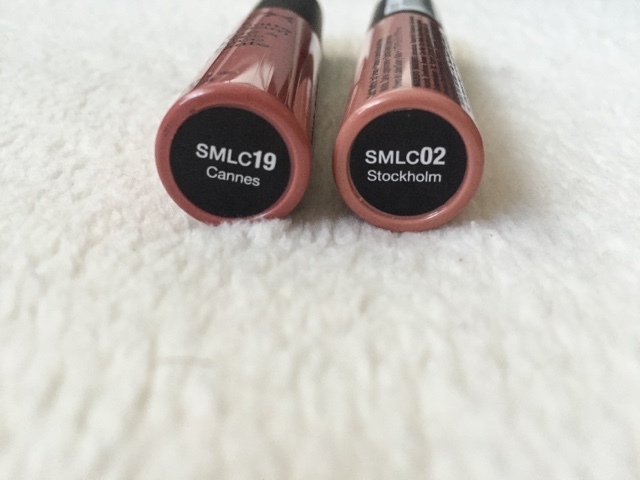 I'll be ordering online so I don't think I'm quite brave enough to order any others without swatching! I have the shade Zurich and I am absolutely in love with it. These shades look gorgeous too, so... next purchase maybe?